The international civil aviation network carries over four billion passengers around the world annually. In celebrating ICAO's 75th Anniversary Celebrations, we will be highlighting some of the crucial safety achievements that have enabled this. We hope you follow our UnitingAviation.com series throughout the year, and we encourage you to use the #ICAO75 hashtag to share your thoughts and memories with us through social media. Maimuna Taal is the Technical Officer Airworthiness in the Air Navigation Bureau of ICAO. 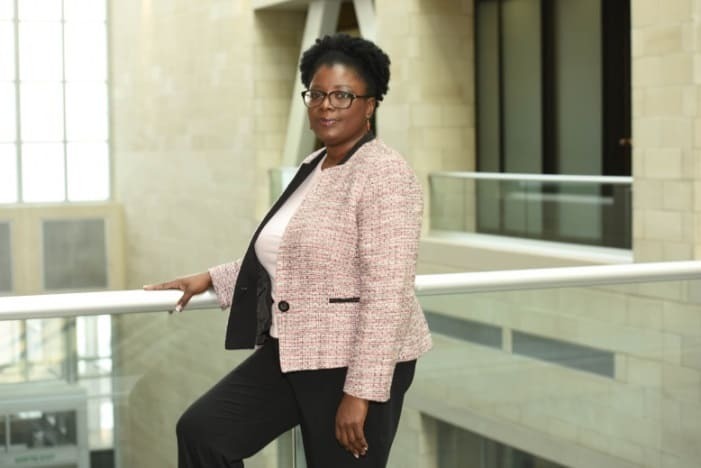 She is an Aerospace Engineer and a holder of an Airframe and Powerplant Engineer License from the US Federal Aviation Administration (FAA) with over 20 years experience in the field of Civil Aviation Safety oversight related to continuing airworthiness. 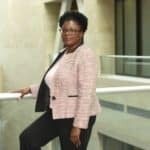 Before joining ICAO, she held the position of Director General of the Gambia Civil Aviation Authority GCAA) where she was responsible for the full range of aviation regulatory activities. Maimuna is a recipient of the 2007 Flight Safety Foundation President’s Citation for her work in improving aviation safety in Africa. Traditionally, halogenated hydrocarbons (halons) have been the only fire-extinguishing agents used in civil transport aircraft as fire extinguishers because they are effective on different kinds of fires and they are very lightweight. However, due to their high ozone depletion, the Montreal Protocol on Substances that Deplete the Ozone Layer called for an end to their production by 1994 in developed countries and by 2010 in developing countries. As a result of this international agreement, production of halon is prohibited, and halon supplies are diminishing. 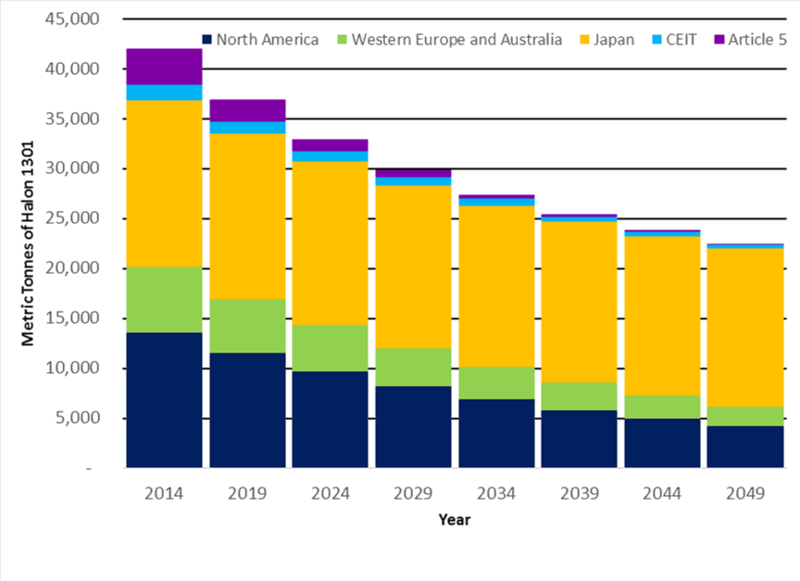 The updated breakout of Global Inventories of Halon 1301 from the United Nations Environment Programme (UNEP) Halons Technical Options Committee (HTOC) 2018 Assessment Report is shown below. 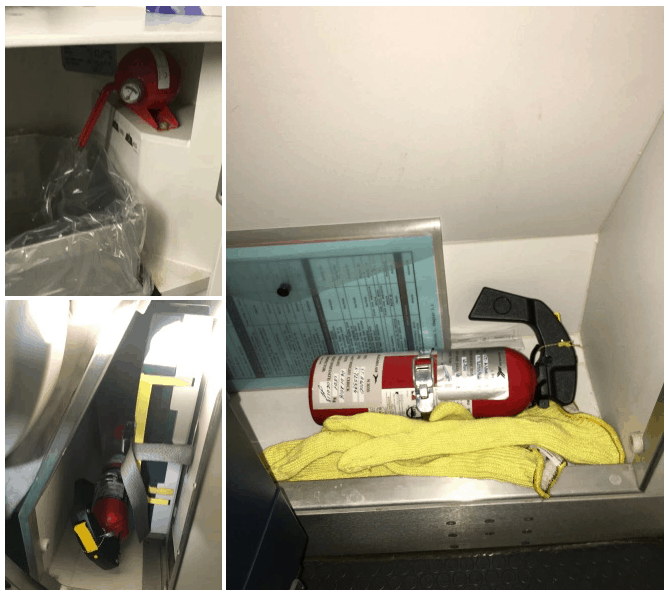 ICAO has mandated the use of Halon replacements in fire extinguishers used on civil transport aircraft. Several ICAO Provisions already exist in Annex 6 — Operation of Aircraft and Annex 8 — Airworthiness of Aircraft that stipulate requirements for the use of a non–halon alternate agent for fire suppression. 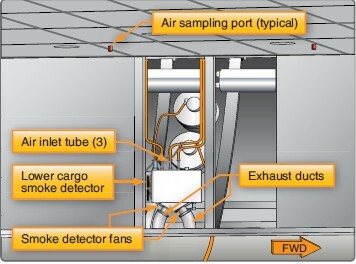 At present, halons are used for fire suppression on civil aircraft in four extinguishing applications as shown above. Worldwide, there are many States and organizations testing alternatives to halon. Unfortunately, there is no single substance which can be used for all of the extinguishing applications. 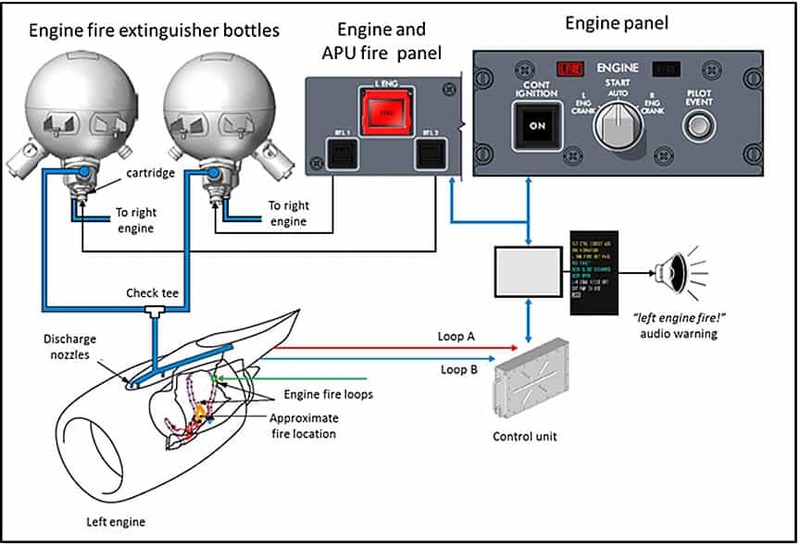 Therefore, aviation will have to use different types of extinguishers for each application. 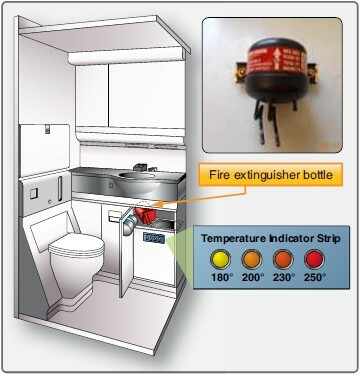 Halon replacement agent for portable and lavatory fire extinguishers which are reported to be neither a greenhouse gas nor an ozone-depleting substance are already available. Research and development are progressing towards halon replacement for engine and auxiliary power unit (APU) fire extinguishing systems. However, the industry is still far from developing a viable replacement agent for this application that can be fully tested, certified and implemented on commercial transport aircraft. 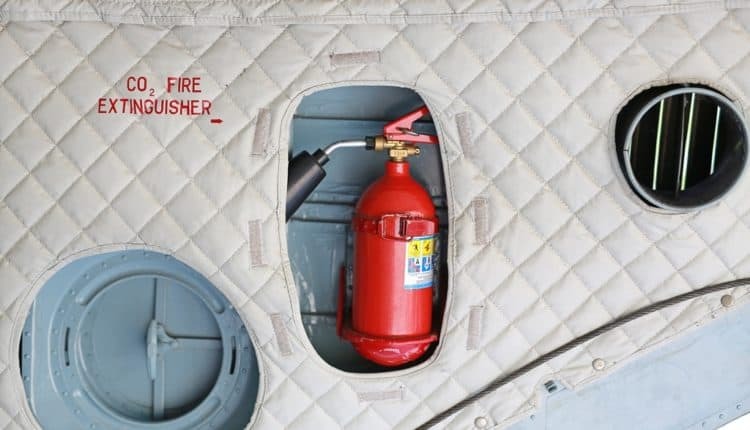 The cargo compartment extinguishers are the most difficult to replace, research and testing still have a long way to go. Halon replacement will require the full cooperation of all stakeholders to collaborate under the auspices of ICAO to achieve a viable solution which provides adequate technical performance, certification, and long-term environmental benefit. The 2018 HTOC model estimates the remaining worldwide bank of halon 1301 to be approximately 37,750 metric tonnes at the end of 2018 in accordance with Chapter 5 of the 2018 HTOC Assessment Report. This remaining bank of halon 1301 is assumed to be currently installed in fire suppression equipment (e.g., in aviation, computer facilities, oil and gas, military, maritime, etc. ), as well as in available stockpiles. It is estimated that 12,500 metric tonnes of halon 1301 could become available to support civil aviation if all of it went only to civil aviation. However, many other on-going uses of halon 1301 will also need to share in this available supply to meet their ongoing needs to refill discharged systems and/or leaks. The aviation industry continues to use halon today under an exemption to the international agreement because of its unique situation. This cannot and should not continue indefinitely.Halon is currently available for aircraft use by recycling existing supplies; Although ICAO member States have taken measures to mitigate contamination, the potential risk of contamination of the reserves remains. In recognition of these issues and their potential impact on safety, transitioning promptly from halon to safe and effective halon alternatives now become urgent.